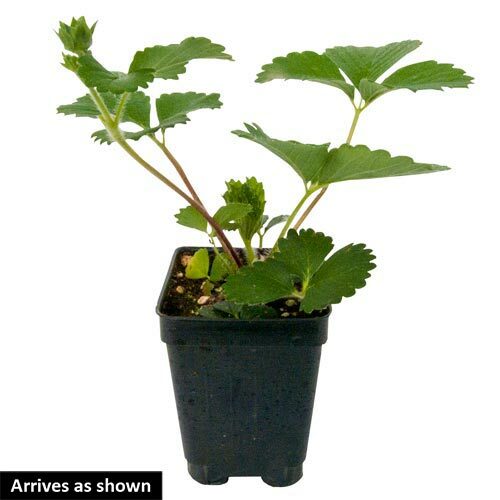 Cabot Strawberry | Gurney's Seed & Nursery Co. Huge plump fruit boasts amazing flavor. This june bearer has exceptional winter hardiness and huge yields of yummy fruit. Also boasts good disease resistance and excellent texture and color. Self-pollinating. Zones 4-8. PP16971. Flower FormThey resemble a small single rose with a mass of golden stamens in the center. FruitHuge fruit, some fan-shaped and wide. Soil RequirementsMoist well-drained, slightly acidic, sandy loam soil. 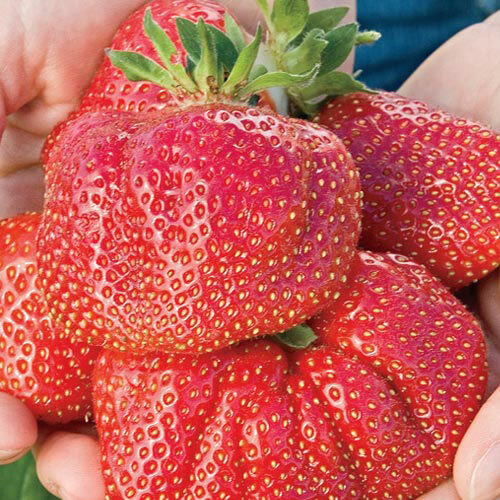 CommentsCabot is an exceptionally large strawberry. The appearance of Cabot is generally very attractive except for the first berries which tend to be slightly irregular in shape. This berry was developed by the Canadians in Kent, Nova Scotia. Unable to ship to: AE, AK, GU, HI, PR. DepthSet crowns just below soil level.